The series will introduce a powerful, integrative therapy model. Using this integrative therapy model, workshop participants will learn practical interventions that are applicable to the treatment of panic, generalized anxiety disorder, phobias, social anxiety disorder and post-traumatic stress disorder. 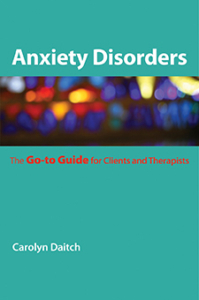 The workshop introduces the ground-breaking protocol STOP Solution for calming anxiety. The STOP Solution provides a methodical protocol of easy-to-use tools that can be applied when clients experience difficult to manage anxiety.